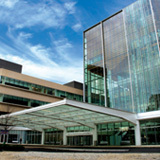 Director of Quality Assurance/ Quality Improvement, Department of Radiation Oncology, HUP Vice Chair, Clinical Division Morton M. Kligerman Professor, M.D. 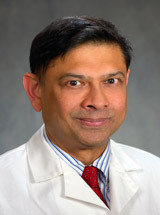 Dr. Maity is employed by Penn Medicine. My laboratory based research focuses on developing strategies of improving the radiation response, using agents that modify the tumor microenvironment and alter cellular signaling. In particular we have focused on the PI3K/mTOR pathway, which is upregulated in many human cancers. Our research suggest that inhibition of this pathway can increase the intrinsic sensitivity of tumor cells to radiation and also decrease tumor oxygenation. My clinical research focuses on using hypofractionated radiation to potentiate the action of immune checkpoint inhibitors in patient with metastatic solid tumors including melanoma, non small-lung cancer, and breast cancer. Benci JL, Xu B, Qiu Y, Wu TJ, Dada H, Twyman-Saint Victor C, Cucolo L, Lee DS, Pauken KE, Huang AC, Gangadhar TC, Amaravadi RK, Schuchter LM, Feldman MD, Ishwaran H, Vonderheide RH, Maity A, Wherry EJ, Minn AJ. : Tumor Interferon Signaling Regulates a Multigenic Resistance Program to Immune Checkpoint Blockade. Cell 167 (6): 1540-54,2016. Twyman-Saint Victor C, Rech AJ, Maity A, Rengan R, Pauken KE, Stelekati E, Benci JL, Xu B, Dada H, Odorizzi PM, Herati RS, Mansfield KD, Patsch D, Amaravadi RK, Schuchter LM, Ishwaran H, Mick R, Pryma DA, Xu X, Feldman MD, Gangadhar TC, Hahn SM, Wherry EJ, Vonderheide RH, Minn AJ: Radiation and dual checkpoint blockade activate non-redundant immune mechanisms in cancer. Nature 520 (7547): 373-7,2015. Gabriel PE, Woodhouse KD, Lin A, Finlay JC, Young RB, Volz E, Hahn SM, Metz JM, Maity A: An automated electronic system for managing radiation treatment plan peer review reduces missed reviews at a large, high-volume academic center. Practical radiation oncology 6 (6): e307-14,2016. Cerniglia GJ, Dey S, Gallagher-Colombo SM, Daurio NA, Tuttle S, Busch TM, Lin A, Sun R, Esipova TV, Vinogradov SA, Denko N, Koumenis C, Maity A: The PI3K/Akt Pathway Regulates Oxygen Metabolism via Pyruvate Dehydrogenase (PDH)-E1α Phosphorylation. Molecular cancer therapeutics 14 (8): 1928-38,2015. Kennedy AR, Maity A and Sanzari JK: Radiation Induced Coagulopathy: Potential Prevention Strategies and Treatments Radiation research 186 (2): 121-40,2016. Lin Alexander, Maity Amit: Molecular Pathways: A Novel Approach to Targeting Hypoxia and Improving Radiotherapy Efficacy via Reduction in Oxygen Demand. Clinical cancer research 21 (9): 1995-2000,2015. Gandhi SJ, Minn A, Vonderheide RH, Wherry EJ, Hahn SM, Maity A: Awakening the immune system with radiation: Optimal dose and fractionation. Cancer letters 368 (2): 2015. Thompson RF, Maity A: Radiotherapy and the tumor microenvironment: mutual influence and clinical implications. Advances in Experimental Medicine and Biology 772 : 147-65,2014. Alonso-Basanta M, Fang P, Maity A, Hahn SM, Lustig RA, Dorsey JF: A Phase I Study of Nelfinavir Concurrent with Temozolomide and Radiotherapy in Patients with Glioblastoma Multiforme. Journal of Neurooncology 116 (2): 365-72,2014.